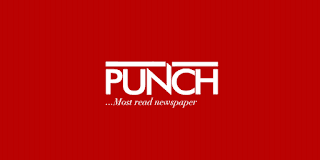 The fake news report published against the Honourable Mininter of Interior, retired Lieutenant General Abdulrahman Dambazau by the Punch Newspaper in it's feature story today is a classical case of false report with make-up stories from unverifiable sources. The fake news writer, Mr. Eniola Akinkuotu tried hard to sell his cooked up lies against the Minister to Nigerians but the reporter is only smart by half because his report lacked substance, evidence and verifiable sources. Hence, the latest attempt to tarnish the image and hard-earned reputation of General Dambazau simply because he is serving as Minister in President Muhammadu Buhari's Government will not stand no matter how hard they try. Because the enemies of the government could not find any fault with the Minister on his current job, they resorted to manufacturing lies and false narratives against his past clean records in office. However, I want to let Nigerians know that they are against the Minister simply because he has succeeded where their friends and cronies failed. It is on record that under Dambazau's watch as Minister of Interior, there is absolute peace, calm and stability in the entire nation despite the fact that we have about five days to the general elections. Hence, it is understandable why they are doing what they are doing to distract the Minister. There is no doubt that these folks have been pedling false reports against the Minister simply because he served as Chief of Army Staff between 2008 and 2010 but because the Punch Newspaper has joined them in publishing fake news against General Dambazau, I have decided to set the records straight. Accordingly, the insinuation that General Dambazau was indicted by the arms probe panel is a lie from the pit of hell. General Dambazau was never indicted by any probe panel because he never committed any offence in the first place. That General Dambazau once served as Chief of Army Staff does not mean he awarded military contacts for the purchase of arms at the time. Let it be noted that when General Dambazau was Chief of Army Staff, the power to award military contracts for the purchase of arms was strictly done at the Ministry of Defence and not by the service chiefs as been claimed by the Punch Newspaper. The fact that General Azubuike Ihejirika who took over from General Dambazau as Chief of Army Staff was indicted does not mean that Dambazau committed same offence because they operated by different rules. For Example, when General Dambazau like Oluseyi Petinrin was in office, there was a Minister of Defence who took all military contracts to the Federal Executive Council Meeting for approval. But Ihejirika came to office at a time they was no substantive Minister of Defence to take Amy proposal to FEC Meeting. Because of this reality, successive service chiefs started awarding military contracts on their own. Also, because of the above fact, both Olusenyi Petinrin and General Dambazau who served as Chief of Air Force and Chief of Army Staff at the same time left office without having anything to do with military contracts. Like I asked earlier, is it because General Dambazau is serving under Buhari’s government that he must also be indicted for playing no part in the arms deal? Why are they against General Dambazau when he alongside with Olusenyi Petinrin and Admiral Ibrahim served as Chiefs of Army, Air Force and Navy respectively at the same time with Air Chief Marshal Paul Dike as the Chief of Defence Staff? So why are they trying so hard to incriminate General Dambazau when his contemporaries who served alongside with him are free? Evidence has also shown that during their time when General Mukhtar was the National Securty Adviser, there was no single arms deal as all procurements were done by the Ministry of Defence only. So, why are they after this man for goodness sake? Besides, when the Boko Haram insurgency began, General Dambazau had already retired from the service. So, there was no way he could have been involved in arms procurement deal for the northeast as the Punch Newspaper claimed in it's story. When General Dambazau retired, it was General Aliyu Gusau that was the National Securty Adviser. So, why are they not concerned about the other names but only that of General Dambazau? Now, I'm beginning to notice that public service in Nigeria is one of the thankless jobs in the country because no matter what you do to make it better, they are always vested interests who are there to pull you down at all costs. It is however unfortunate that some media houses have moved away from serving the interest of Nigerians to serving the special interests of the oppressors who disguise as messiahs. Even if other news media are in the business of hacking people down for pecuniary reasons, no one ever expected that Punch Newspaper could be used for such un-journalistic adventure. Is it because the times are hard? But tough times never last. If we enjoyed the sacrifices made by our forebears, then we are duty-bound to make similar sacrifices for the next generation no matter how painful it may be. Comrade Edwin Uhara writes from Abuja.